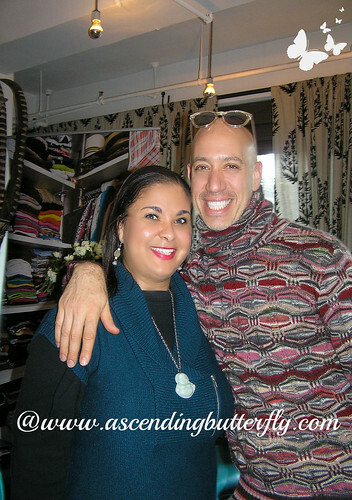 Ascending Butterfly: Check out my Holiday Buying Guide #Video #VLOG and interview with @RobertVerdi for my @ProcterGamble #PGHoliday Buying Guide! Check out my Holiday Buying Guide #Video #VLOG and interview with @RobertVerdi for my @ProcterGamble #PGHoliday Buying Guide! 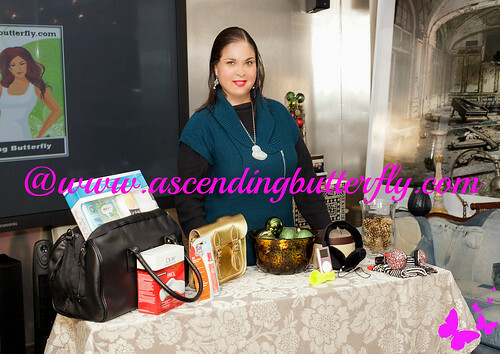 Founder and Butterfly-in-Chief of Ascending Butterfly Tracy Iglesias shoots holiday buying gift guide VLOG at Robert Verdi's Luxe Lab in New York City! Within a few days of each other I spent a week shooting my first ever VLOGs for Ascending Butterfly. I'm much more comfortable sharing my world from behind my camera and from my computer then I am with being in front of the camera or on video, but when I was offered the opportunity to film a Video VLOG for P&G with Lifestyle Expert, Celebrity Stylist and Television Personality, Robert Verdi I jumped at the chance! Despite four years of keeping myself relatively hidden I knew after the health scare I experienced last year and the horrible way I started 2012 that it was time for me to jump in front of the camera, take risks and really meet life head on! How can you inspire others to come outside their comfort zones and be a good life coach if you don't rise up to challenges that make you uncomfortable in your own life? All my nerves were immediately calmed upon entering Robert Verdi's Luxe Laboratory! I was met by the 'Glam Squad' which started with Nails, and I can tell you I gave the manicurist quite a job as my nails were in really sad shape! I picked out a perfect Covergirl Outlast Stay Brilliant Nail Gloss in (180 Lasting Love), which was a very close match my signature red lip that I custom blend. This high gloss nail polish does not require a top coat and lasted one week chip free on my nails. No easy feat, because I put my hands and nails through a lot of typing, being in water and I kept expecting that the tips of my nails would chip fast, and was super surprised that they didn't! I also loved that they dried super fast! Later on that same day I got my thumb caught in a zipper of my handbag and it did not smudge, chip, smear or budge, color me impressed! Then it was on to makeup, I was super happy when the makeup artist chose not to change my lip color, she liked my custom red so much she left it alone! That's quite a compliment! Luxe lab stylist uses Aussie Hair Care Products to style Ascending Butterfly for Video Shoot! From nails it was straight to hair where Aussie Hair Care products were used on my hair and my hair was expertly flat ironed to glossy fabulousness! Left: Ascending Butterfly Founder and Butterfly-in-Chief Tracy alongside Right: Robert Verdi - of course as soon as the flash went off I closed my eyes! 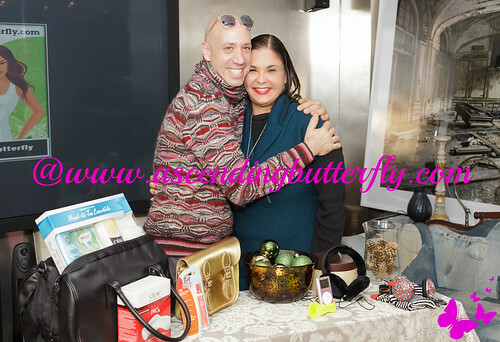 Then I got a chance to meet Robert Verdi and it was on to the first of two video shoots! I love that Robert is exactly the same way you see on Television, he is super warm, friendly and totally approachable. He instantly put me at ease! Ascending Butterfly and Robert Verdi all smiles during the P&G #PGHoliday Gift Buying Guide Video VLOG Shoot! Just in case it doesn't play nicely for you or you'd prefer to view it directly on YouTube you can just click HERE, but don't forget to come back and watch the second video! Not bad considering I had literally run to the lab after covering an event with Jordin Sparks (if you missed our recap coverage of that event, press HERE). Ƹ̵̡Ӝ̵̨̄Ʒ - I also picked Diane Von Furstenberg Headphones in the 'Stone Leopard Red' Print, paired with gloves that allow for smartphone use and I love how cleverly the fingers of the gloves are stuffed with Covergirl Outlast Lipsticks in each finger, what teenage girl wouldn' t love that bundle? Ƹ̵̡Ӝ̵̨̄Ʒ - And don't forget your Tide to go Instant Stain Remover sticks, I have one in my handbag at all times and keep one in my desk at work and at home, they really do work! I've had all kinds of things spilled on me during events and these have kept favorite outfits from being ruined! I greatly enjoyed my day filming the #PGHoliday Gift Buying Guide, and I will never forget meeting Robert Verdi! Robert helped make my first time back on camera after so many years fun, Thank You Robert! Finding the right gift and staying within budget isn't always easy but with the P&G Little Luxuries Gift Sets you can knock out some of those 'hard to shop fors' with something that is thoughtful and within budget, for Holidays 2012 P&G has got you covered! FTC Disclosure: This is NOT a compensated post, no monetary compensation has been received for shooting this video VLOG. All opinions are 100% my own. Very smart video! Great job! Great blog! 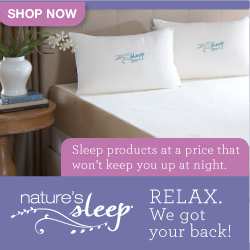 Dropping by from Katherine's Korner Thursday Favorite Things blog hop! Have a fantabulous day! I tried following you through Google Friend Connect, but it won't let me. In the meantime, I'll follow via Twitter and Pinterset. @Prowess and Pearls - That's strange we've had a ton of new google sign ups coming in for the $100 Wilsons Leather Gift Card Giveaway, but thanks for the follow via Twitter and Pinterest! In fact you are going to be very happy you are already following on twitter, we have a twitter party coming soon! Pity the ratings have been disabled on your videos; I would have given them two thumbs up! You're a natural- I subscribed. @Bohemian Babushka - I'm new to uploading on YouTube, sounds like I pressed something I shouldn't have, I'll definitely check on those settings. Thanks for subscribing! You did a great job on the video,good tips for gifting ty. Nice to hear that robert verdi so nice in person. @Big Happy Buddha - Thank You! Robert is awesome! I am so glad that P&G shared their great holiday gift ideas with us! @Samantha F. - I like using the Handbag as the gift packaging or instead of a stocking, and stuff little thoughtful things inside of it, like a Tide to Go, small tubes of lip gloss, pocketbook size tissues, a compact hand mirror and other fun things depending on who I'm giving it to!